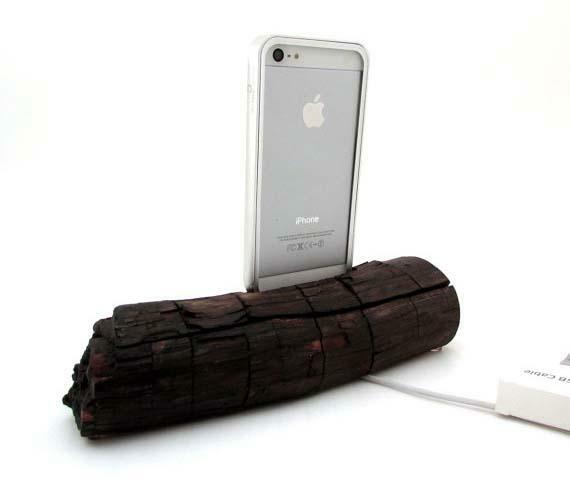 Don’t carelessly throw the wood block into your fireplace if you want to use it to charge your iPhone 5. If you’re curious, let’s go on checking the Red Wood docking station. This is a unique docking station designed for iPhone 5, and handmade by Joel, a skillful crafter in California. 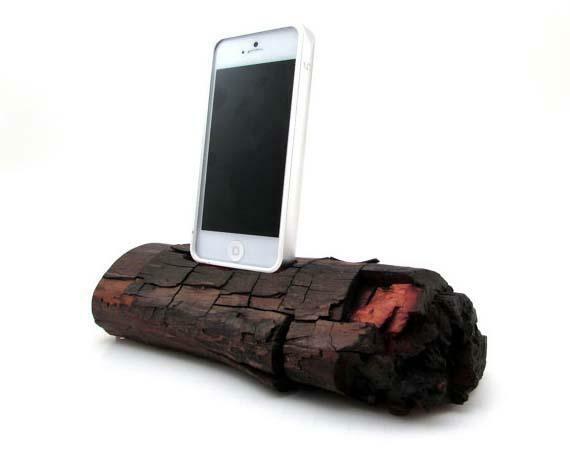 As we can see from the images, the iPhone dock features eco-friendly and natural design, and is carved from Red Wood harvested from California, and coated with a combination of beeswax, carnauba wax, and orange oil in order to enhance the natural beauty and depth of wood grains and prevent furthering dying of the wood. Of course, using the custom cradle with included Lightning cable you can conveniently charge or sync your iPhone 5 with or without a protective case on the docking station, and the combination of nature and modern technology also makes the iPhone dock become a nice decoration in your house. The Red Wood iPhone 5 docking station is priced at $80 USD. If you’re interested, jump to Etsy for more details. Additionally, If you need other options you might like to check the docking station with vacuum tube and more via “docking station” tag.